Quick service, fast casual and family dining restaurant chains are attracting new customers, retaining old ones and creating seamless brand experiences by adopting digital strategies. Mobility is now the new normal and restaurants are incorporating mobile strategies in order to engage with customers in the digital space. As mobile apps are a must-have technology for any restaurant, mobility is becoming an embedded part of every application in the digital space. Restaurants are collaborating with IT organizations across all their business units to unify mobile app strategies, create a scalable platform and to formulate a mobile strategy to accelerate innovation of digital capabilities. To enable broader digital business transformation, the restaurants must focus on mobile design, development and delivery as foundational competencies. Applying digital design best practices across a wide range of interaction channels will accelerate innovation of digital capabilities. 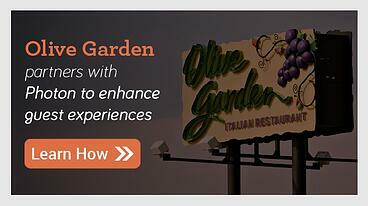 Restaurants are revamping their mobile apps to make it a more versatile tool for users. New major functionalities include: Mobile Order2Go, Mobile payments, Chatbot assisted ordering services, Smarter Meal Pickup Times and Proximity messaging to drive nearby foot traffic into the restaurant. Mobile Order and Pay is the core differentiator that drives tremendous growth in the restaurant industry digital conversions by not only simplifying, but also speeding up the ordering process for users. By 2020, Mobile order and pay is expected to be a $38B industry and 76% of the consumers will prefer take-out or delivery. Mobile devices allow customers to gain access to almost anything, anytime and anywhere. As per global mobile consumer survey, 37% - 39% of the customers are using mobiles to pay off restaurant bills and it is a much higher percentage than using mobile for buying groceries, public transport and shopping for clothing.This level of mobile connectivity will allow a greater opportunity to truly access and cater to the customer, giving restaurateurs the potential to be more customer centric. The restaurant landscape is more digital than ever before as mobile capabilities are the driving force of customer engagement with deep experience and unique understanding of building relationships with tech-savvy customers. Beacons are low-cost piece of hardware that use battery-friendly, low-energy bluetooth connections to transmit messages or prompt directly to a smartphone. These devices help deliver Personalized Omnichannel experiences to customers. The restaurants can now deploy apps by incorporating the latest proximity messaging technologies and mobile loyalty features, target customers near and far to send the geo-targeted messages and get the customers in the door more often. Proximity messages allow for real-time alerts to engage the user even when the app is not running. Millennials and other digital minded consumers are forcing restaurants to rethink the way they do business to explore the customer experience trends. Invisible Interfaces like Chatbots and Intelligent Assistants will improve customer experience across all touchpoints with new processes. Table reservation chatbot automates table reservation at restaurants. Recipe bot makes recipe discovery easy, exploratory, and fun for users. Food ordering bots help customers order meals, look for nearby restaurants that offer delivery services or make recommendations. The bots use AI to personalize menus and create the type of intelligent interactions that customers want. Smart kitchen bot can help users plan week’s meals, order the ingredients, enable voice-activated timers, and receive guidance on the cooking process. Across the restaurant landscape, mobile apps will deliver user experiences which are continuous, ambient and omnichannel. Restaurants need to have comprehensive mobile app strategies to fully and effectively satisfy their customers’ needs. These proven techniques can be used to identify new opportunities, validate existing ones and discover entirely new digital business models. At Photon we look to challenge the status quo on the usage of mobile in restaurants by creating business outcome journey maps to identify and explore the opportunities that will fulfill restaurant's broader strategic plans. Photon has teamed up with leading Fortune 100 brands to drive digital transformation for their restaurant chains. The enhanced features have given the guests increased convenience and control while creating frictionless personalized experiences. To learn more about how global restaurant brands have embraced digital to improve overall brand presence and to develop comprehensive digital strategies that drive world-class guest experience, talk to us.